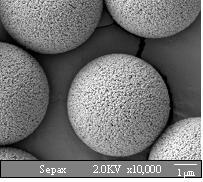 PolyRP phases are made of 80% cross-linking PS/DVB spherical particles. 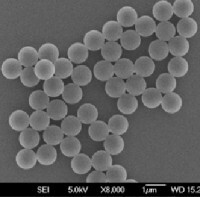 These highly rigid particles have both non-porous and porous structures with the particle size selection of 1.7, 3, 5, and 10 µm. The phase structure is phenyl functional groups that enable hydrophobic interaction. Compared with silica based reversed phases, PolyRP phases have advantages over applications at extreme pH (1-14) with special selectivity and slightly lower separation efficiency.